Why I chose to switch to safer beauty?! This is a question I am asked daily, and I always love to explain my answer! For those of you who don’t know me, I grew up “eating healthy”, my mom always sent me to school with a homemade lunch, she would cook us dinner from scratch almost every night. We never used an excessive amount of harmful chemicals or were exposed to secondhand smoking. When I was in college I switched to organic vegetables, and started carrying around reusable bags. Safe to say, my lifestyle has always been pretty “crunchy”. However, I was sick as far back as I can remember. I was always very bloated, had terrible gas, and gut wrenching stomach pains, migraines that would send me home from school. I was so embarrassed that I spent a lot of time by myself, which I am extremely extroverted, so that is how sick I was! I had began to cut things out of my diet in my early 20’s such as gluten, dairy, soy, corn, etc. the things I knew that were not making the situation any better! When I moved out of my parents house it was very easy for me to start fresh with non toxic cleaners, all organic food, glass instead of plastic. (You get the picture, I was in it, 100%, and all about non-toxic sustainable living.) However, I still never felt great. Finally, after I got married in 2014 I decided I needed to do something about my health. Because despite all of the essential oils, kombucha, superfoods, vitamins, herbs, reusable bags, reusable water bottles, recycled paper towels, I still never felt that much better. I ended up finding an Integrative Doctor that specializes in Celiac Disease. Long story short, I was diagnosed with Celiac Disease at the age of 23 (as well as a few other things caused by not knowing I had Celiac my entire life.) This was a turning point for me. Life became more live able again, I was passionate about things, I ended up becoming a 200hr Registered Yoga Teacher, I quit my 9-5 and then got pregnant! Life was good! I stopped using makeup almost all together (go figure my skin cleared up after my body healed from the inside out.) I would wear make up for “special occasions” and after a few hours my “natural” mineral makeup would look cakey and was not flattering. I knew that most makeup, skincare AND haircare products has gluten in them. I actually started using a bar of soap at one point to wash my hair, I was that sick and tired of looking for something that would not compromise my health. The summer of 2016, I first heard about Beautycounter. I kept seeing this bar of charcoal soap pop up in my feed on Instagram. I was intrigued, I figured if paleo influencers such as Danielle Walker (author of Against All Grain) or Diane SanFilippo (author of Practical Paleo and the 21 Day Sugar Detox) was using Beautycounter (and promoting it) that it had to be pretty good! However, I decided at 39 weeks pregnant it was not time to test out anything new! In April, a good friend of mine from High School that I have stayed in contact with regularly messaged me and said, “Hey, you should join this mission with me!.” I began to do my research to find out that Beautycounter was EWG.org verified, a B-Corp, was based out of California and that their products are Made in the USA. The more I read, the more I was reminded that our skin is our largest organ, it takes less than 30 seconds for a product to be absorbed into our skin, and there are only 30 ingredients that have been banned in the USA by the FDA. What was even more shocking, was finding out that 600 ingredients have been banned in Canada and almost 1500 in Europe. What was AMAZING, was the fact that Beautycounter upholds to that higher standard, and avoids almost 1500 ingredients in their products, even though they don’t “have” to. Beautycounter is not a “green” washed company. Just because something is Vegan, Gluten Free or Natural, doesn’t mean it’s safe! Beautycounter is a B-Corp, (Just like Toms or Patagonia) We care equally about people, products and the planet. We financially support three non-profits, our products are sustainably made, all workers are paid a fair wage AND our packaging is even eco friendly. 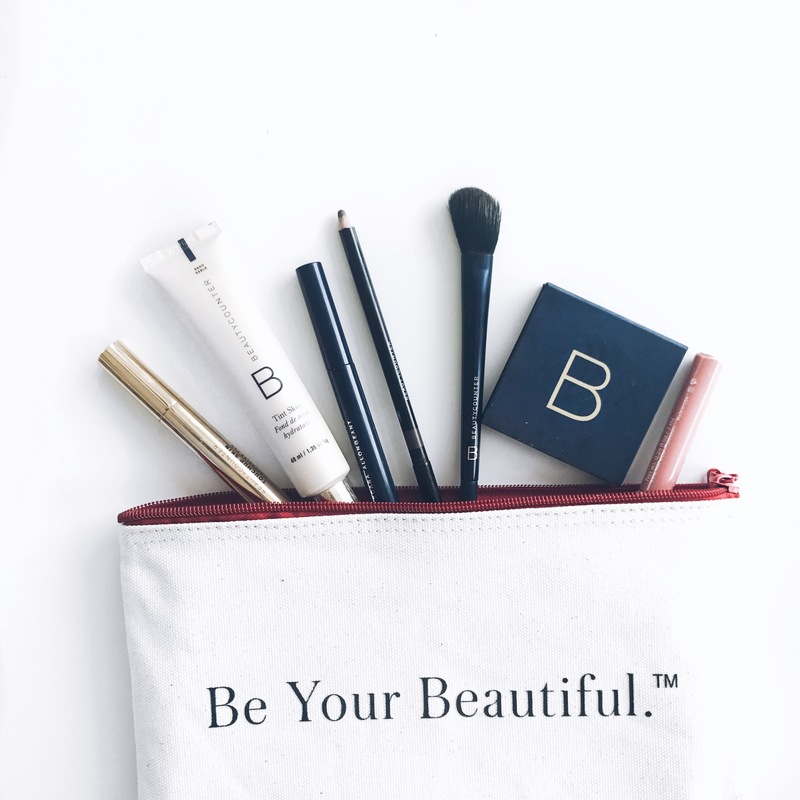 Beautycounter is not just a makeup or skincare company, IT’S A MOVEMENT. We are on a mission to get safer products into the hands of everyone! We are not on a mission to get you on a 5 step skincare program, we’re not going to take your before and after pictures and post them on our facebook pages. We are on a mission to SWAP out what you are currently using for something safer!